Giving your work a thoughtful direction and supporting the view points with valid information, are the two most important elements of an excellent essay. 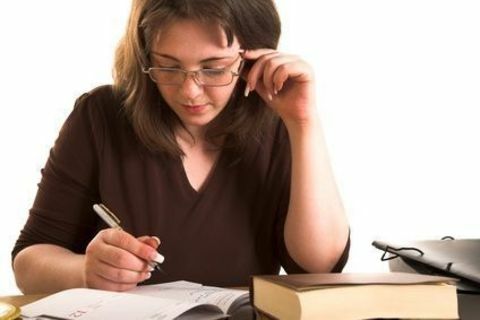 Learning how to write an essay is very important for learners mainly because a huge part of their grades depend on it and partly because it can enhance their academic skills. An essay can either be general in nature or it can present a specific point of view of the writer. Regardless of the case the main goal of writing such assignments is to attract attention of the audience and keep them reflecting on your topic after reading it. In addition to that it is also important that the supporting sources or references must be genuine to give the paper more credibility. •A typical essay writing process always starts with selecting a subject-matter, i.e., a topic. Sometimes it is already assigned by the professors whereas sometimes it is up to the students to choose it in line with their interest or passion. Always choose a theme which is broad enough to discuss the issue clearly and with adequate details. Avoid narrow themes or topics as such subject-matters tend to be ambiguous due to insufficient details. •Formulate a thesis statement. It is yet another important step in producing an exceptional essay. This statement presents the writer’s point of view and demonstrates where the discussions will be heading. It can either be a claim that you can validate in your work or it can be a persuasive argument that the readers will dispute. •Moving on ahead, the next step you must need to take care of is outlining. Though people consider that it is not always necessary to create an outline but on the contrary without making an outline you cannot guarantee the fineness of your essay. Outline sets up a thorough roadmap of your complete essay, thus making it easy for the writer to finish the work efficiently. •Citing sources in the essay in the proper manner is also very important. Make sure that you follow the exact citation style as required by your professor. There are many sources that can teach you how you can cite a source in different types. Some word processors also come with built-in citation setting. You only have to choose the right setting and the rest of the work will be done by the word processor. •Last but not least, polish your essay. Don’t take it literally as it is just an expression. Simply proofread and edit the work to improve its brilliance and make it flawless. • One of the main things is to write concise and revealing essays that aim to inform and amuse the evaluators. Long paragraphs minimize the interest of the admission committee members and they may leave your application. • Another important thing is to present yourself in a modest and humble manner. This practice helps you maintain the level of your confidence rather than being overconfident. Just be yourself and only mention truth in your application essay. • Your work piece must answer all the questions in a legitimate manner. Don’t even miss to answer the single question because each and every question is important to answer. Also, it is good to answer efficiently by meeting the requirements of mentioned word or character limit. • Describe the evidence of having real knowledge regarding the prospective college. Mention you know about the college programs, courses and activities in a comprehensive manner. This shows your interest in the prospective college. • Write about things that represent your area of interest. For instance, “You are good in sports or love to play soccer”. This shows you are active in extra –curricular activities as well. • Be creative and thoughtful while representing yourself. 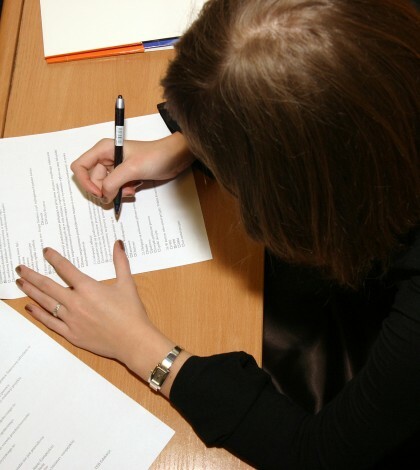 Evaluators want something impressive in your college application for selecting you immediately. • Another significant thing is to write something which is acceptable for the evaluators and which they want to hear from you. Don’t write anything of your own choice and keep focus on essential points of the application essays. • Avoid using negative, immature, disrespectful and judgmental language. This practice decreases the quality of your content, making it unattractive for the evaluators. • Don’t repeat words again and again. This sounds very awkward and makes your piece ineffective and less compelling. • Excuses destroy the overall impact of your application. Don’t excuse for a bad grade, suspension or other reasons that reject your application immediately. • Avoid submitting your essay without checking errors. Don’t rush in hurry; just make sure that you have done with editing and proofreading. Application essay is a golden chance to show your competency. Prove yourself fully eligible for the admission and follow the above points in a plausible manner. The aim of writing an expository essay is to inform the readers on how to do something. They explain the necessary steps to accomplish a task or perform an activity. For example, essays that explain how to make an omelet or how to make a film are expository essays. Descriptive essays use descriptive language to depict a visual image. For instance, it could tell you what you would find at an airport. While a narrative essay is aimed to tell a story. An argumentative or persuasive essay aims to put across a writer’s point of view. It is also one of the most challenging types of essay. An argumentative essay is consisted of a thesis statement and paragraphs that support it. The purpose of an argumentative essay is to convince the readers to endorse a point of view. A good argumentative essay provides the readers with solid evidence and facts to back up a viewpoint. The opposing argument is invalidated in the body part of an essay. A compare and contrast essay analyzes the similarities and differences between two people, objects or places. For example, you can compare and contrast two different politicians, two cellular phone brands or two countries. This type of essay follows two distinguished methods: (1) point-by-point method and (2) block method. In the block method, you first describe all the features of item A, and then explain all the similar features of item B. The same procedure is followed when describing the differences. While in the point-by-point method, you first list down all the features of item A and compare it with all the features of item B. A cause and effect essay is focused on the causes that lead to a particular situation. These essays are aimed to answer questions like “why” and “what”. For example, if the essay is on World War II, it will discuss all the possible circumstances that lead to World War II.